My publisher’s profile of my career before becoming a writer! Sylvia Vetta spent 22 years organising fairs, markets and centres dealing in art and antiques, and ten years writing, talking and broadcasting on the topic. 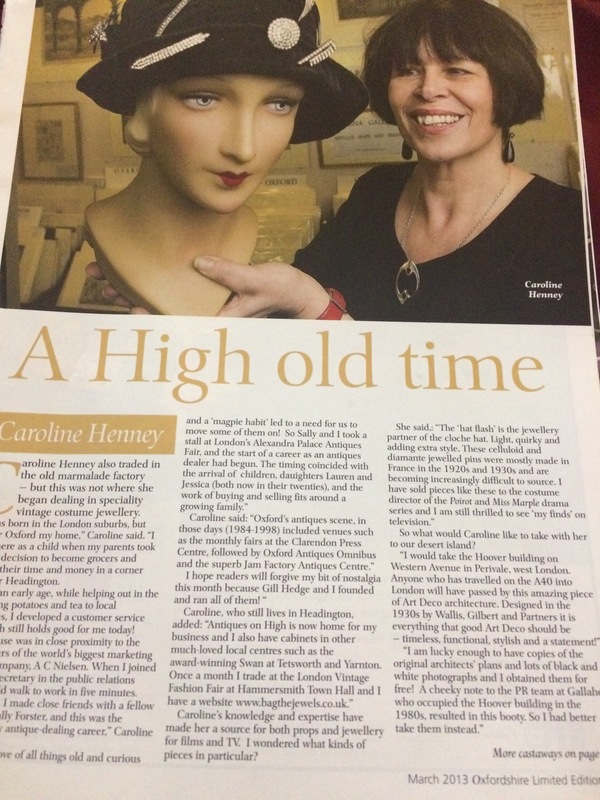 Her career in the antiques trade began in 1983 when, with her business partner Gill Hedge, she organised the first monthly fairs in Oxford in what was then the Clarendon Press Centre in Walton Street. That was followed by a twice-weekly market Oxford Antiques Omnibus. Unsurprisingly, its location was close to the bus station. The market and the fairs they organised in Kidlington, Didcot and Witney were popular. The original factory of Coopers Oxford Marmalade had been occupied by Oxfordshire County Council for 25 years. In 1987 it departed and the publisher Robert Norton took on the head lease and sub-let the ground floor to Sylvia and Gill. Oxford Antiques Centre Ltd was born. Sylvia and Gill felt ‘marmalade factory’ was quite a mouthful so abbreviated it to the Jam Factory and the name stuck – although few people know who invented it. The centre was popular with locals, tourists and collectors from around the UK. Among the customers were many well-known writers and broadcasters. 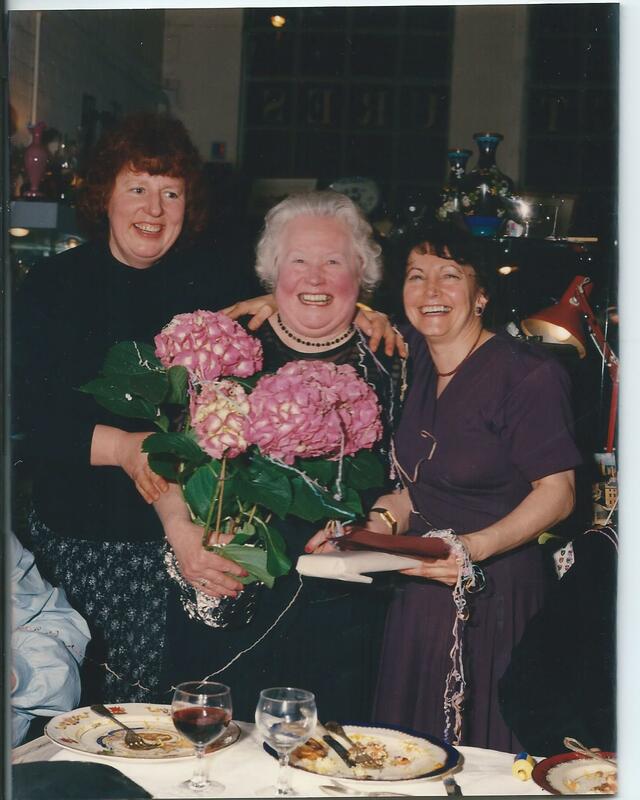 PD James and Brian Aldiss were two of Sylvia’s regular customers. Desmond Morris, who collected Etruscan pottery, came with David Attenborough who collected studio pottery. The Getty ladies came regularly and one year, Princess Margaret dropped in early in December to buy presents for her ladies-in-waiting. Sister Wendy and Lord McAlpine were both filmed in the Jam Factory and The Daily Mail used the centre to compile a pull-out supplement. They photographed items in the centre but Sylvia and Gill did most of the writing. When the supplement appeared they were surprised that their contribution had not even been acknowledged. The Jam Factory inspired start-ups including the Swan at Tetsworth. Its first manager, Elizabeth Fell, had traded at the Jam Factory. When the Jam Factory lease ended in 1998, the dealers reluctantly split. Gill Hedge dropped out of the trade and became a potter. The cabinet holders went to Antiques on High, the café, the bookshop and furniture dealers went to Didcot Antiques Centre, which Sylvia and her academic husband, Dr Atam Vetta, had founded a few years previously. Sylvia and Atam also traded together as Vetta Decorative Arts at Antiques for Everyone. At the Twentieth Century Design Fair at Olympia they exhibited a Sinclair C5 and a sea monster mask used in the production of Dr Who. Sylvia interviewed Jane Tranter who won a BAFTA for bringing back Dr Who. Her father, Donald Tranter, had taught Sylvia history including Chinese history at college. Without him, she does not believe she could have written Brushstrokes in Time. But her career as a freelance writer began in 1998 when she was chair of the Thames Valley Art and Antique Dealers Association. Her most notable activity during her three years as chairman was spearheading a campaign for a national /international logo for antiques. The ATG received an enthusiastic post bag and after TVADA made a short list, the readers chose their favourite. Sadly Lapada was unable to persuade the bureaucracy at the Department of Transport to accept the trade’s choice and came up with their own – an unimaginative image of a candelabra. 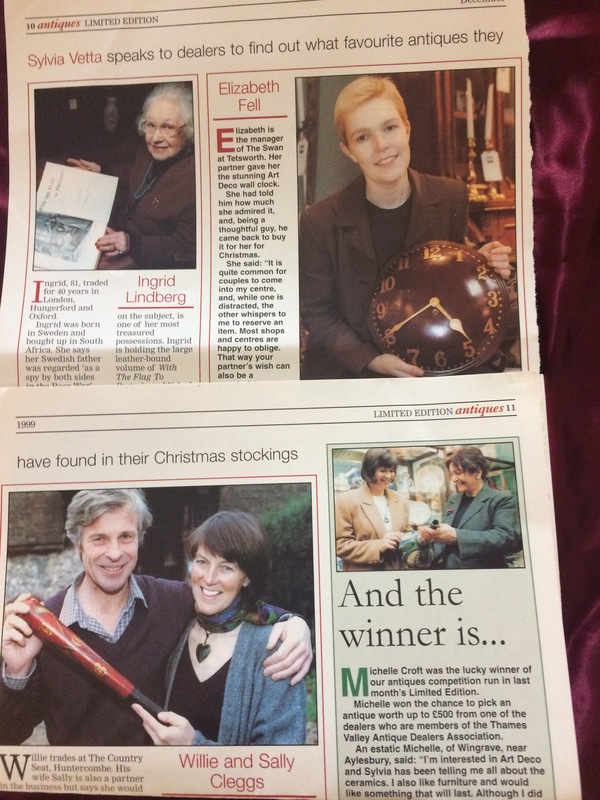 In 1998, Sylvia started writing about art and antiques for The Oxford Times. She wrote 2 features a month until 2016. She was also a regular contributor to The Antique Dealer and the Antiques Diary. For a few years (1999-2002) Radio Oxford broadcast a live antiques programme and Sylvia made regular appearances. The novel was inspired by Qu Leilei, a founder of the Stars Art Movement (Beijing 1979), which included Ai Weiwei. Christie’s and Sotheby’s sell Qu LeiLei’s work, and the British Museum has recently bought a work. She is a registered speaker with the WI. As well as giving talks about antiques and about life writing and how to start, she organises popular antiques quizzes for charities and community groups. Sylvia continues to make herself available for talks and events. Her most recent novel, Sculpting the Elephant, has been 10 years in the making. Several characters in the early part of the novel are inspired by people Sylvia encountered during her years in the art and antiques trade. With the kind permission of her nephew Brandon Lindberg (Christie’s), the late Ingrid Lindberg appears in the novel as herself. Harry King, the hero of Sculpting the Elephant, is an artist and dealer in Art Deco. He’ll be the fresh young image for the antiques trade. Here are some real dealers who inspired characters in the early part of Sculpting the Elephant. Ingrid was a larger than life character-always enthusiastic. Everyone received a warm welcome at Will and Sally Clegg’s Coutry Seat near Huntercombe!